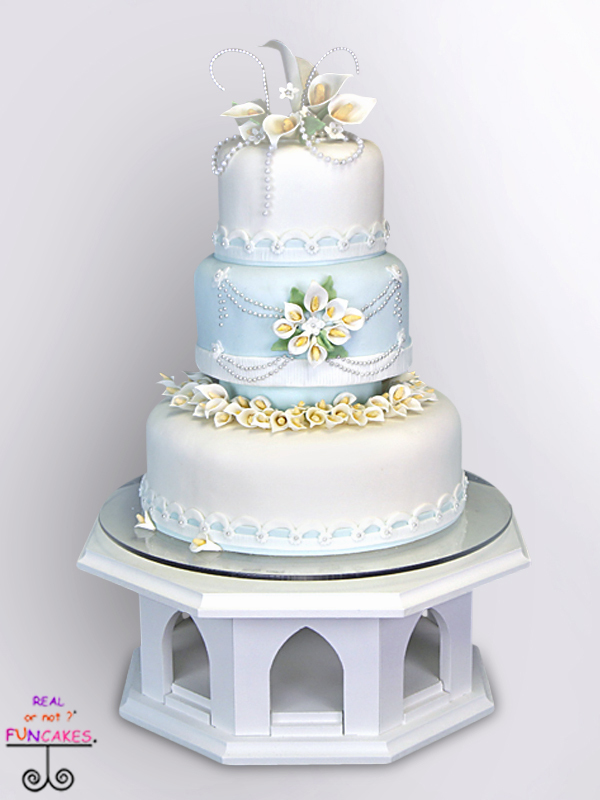 The Selma Cake Stand is a custom design cake stand by FunCakes. Hand crafted from wood and designed with beautiful arches similar to church windows. Place battery operated candle votive’s inside, to create a glow to your cake. Painted a lovely cream color to match the fondant exactly.